The four levels (concepts) can be taught using examples from home, school, and/or personal experiences—as well as from stories and events around the world. Sharing examples of each level increases understanding and makes the concepts more meaningful and personal. Following is how a teacher introduced the concepts. I began by reminding the students of the life cycle of a butterfly. They recalled that there are four stages of development: egg, caterpillar, pupa, and butterfly. We talked about how all butterflies are in some stage of this process but have no control over their movement through the process. How do students benefit from operating on Level C or D? Dr. Marshall says that we should teach students that in this system of discipline, operation on Levels A and B “automatically invites the use of authority” by the teacher. My students understand that continued operation on the lower levels will result in the use of authority. They see this as a good reason for raising the level of their behavior to something higher. Now I’m wondering: Is there anything that “automatically” accompanies behavior on Levels C and D? What level is an accident? What if a child trips and accidentally hurts another student? Is this Level A behavior according to the RRSystem of discipline? Is Discipline without Stress ever implemented in high school? Does anyone know if Discipline without Stress is ever implemented in high school? I teach high school Leadership classes and I think high schoolers need these things even more immediately than little ones. The real world is going to require self-discipline of them, real soon! Raising their responsibility is exactly what high school kids need. Most of the discussions I hear about the system seemed aimed at younger children, though presumably they should be applicable to older students as well. I would like any tips, or even encouragement for using this discipline approach in high school. I’ve come up with my own names for the levels. Although I use Marshall’s Discipline without Stress levels, I’m a bit put off by the “reverse A-D system,” with D being the best. It goes opposite to how we typically think of grades or levels. same meaning but in reverse order. I am still waiting for my Discipline without Stress book to arrive, but this morning I introduced the system to my class anyway. Even though it’s almost the end of the year, I have such big behavior problems that I decided I had nothing to lose and everything to gain! However, I must have done something wrong because the very students who need this system most, were the ones who didn’t pay attention to the discussion and mocked the levels right from the very start. Any suggestions for making this system real to kids who don’t pay much attention to things like this? 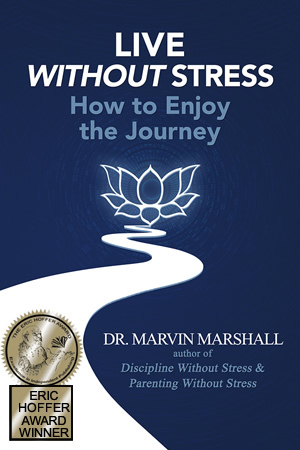 I teach Marvin Marshall’s Discipline without Stress levels but I’m a bit put off by the “reverse A-D system.” D being the best goes so opposite to how we usually think of grades or levels. Although it’s true that school letter grades and the Discipline without Stress Hierarchy levels are arranged in opposite orders, at my K-6 school we have never experienced any confusion with this. I think that’s because we purposely do everything we can to keep grades separate from discussion of the Discipline without Stress Hierarchy. The two are not connected. Certainly, both provide tools of evaluation, but one is a tool of EXternal evaluation and one is a tool of INternal evaluation. I need concrete examples of each level of this discipline system. I am confused about the specifics of the Discipline without Stress Hierarchy. I need concrete examples of behaviors for each level so that I can correctly explain them to my students. Below are some examples of behaviors on each of the four levels as well as the most important understandings to convey to your students. How can I get all my students to Level D? I’ve been using Discipline without Stress for a few months now and my students seem to understand about the four levels of behavior. Generally their behavior is acceptable, but they aren’t operating on Level D all the time yet. What can I do about this? I have some parents who don’t like that “D” behavior is better behavior than “A” when it comes to talking about discipline. My students get letter grades for conduct and a few parents have a difficult time with D being good in the classroom but not on the report card. Can you help me with this? This is a common question and a natural assumption, yet the assumption that students get confused is very often not an accurate one. The proof would be to ask the students.